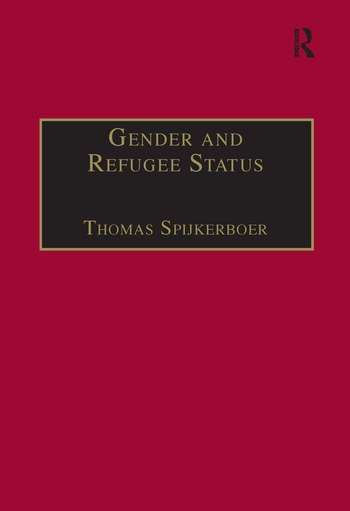 This is the first comprehensive socio-legal study of the interrelation between gender and the law of refugee status. In the past decade, the issue has received increasing attention in academic writing, the media and the courtroom. This book contains an interdisciplinary analysis. The empirical data, collected for this study and not published previously, concerns Dutch asylum practice. The Netherlands is a prominent refugee-receiving country in Europe, yet hardly any English texts address Dutch refugee law. The book also covers foreign case law and academic writing. Therefore, the analysis is relevant for all refugee-receiving countries in the Western world; the empirical data on The Netherlands functions as a case study. The book combines perspectives of post-structuralist feminism and post-colonial studies. Refugee women are constructed as a double other. This intersectionality is related to the construction of the Third World as feminine (passive, in need of active outside intervention etc., etc.). The book provides a comprehensive overview of academic writing and of case law on the subject. On this basis of theoretical perspectives that were almost ignored until now, it develops an innovative critique of refugee law discourse and outlines its possible consequences for legal doctrine. Contents: Introduction; Female applicants in statistics and general policy; The construction of the female applicant in decision making; The construction of the female applicant in jurisprudence; Counter-strategies and the reaction of governments; Conclusions; Annexes; Bibliography; Index.